Among the mammals, hedgehogs, dormice (Nuscardinus avellanarius and Glis glis) and bats (Chiroptera) represent the only true British hibernators. Contrary to popular misconception, hibernation is not simply a long period of sleep, although certain features of hibernation (e.g. a change in body temperature and breathing) do resemble those observed during slow-wave sleep. Sleep is a physiological necessity; it’s time during which our body exhibits increased cellular anabolism and decreased catabolism – in other words, sleep allows our body to repair and replace cells. Hibernation, by contrast, is a major physiological readjustment with the goal being to reduce the animal’s metabolism (in the case of mammals, by turning down their internal ‘thermostat’), thereby conserving precious energy stores during periods when food is in short supply. It is energetically expensive to maintain a body temperature higher than the surroundings, especially for poorly-insulated animals like hedgehogs, and decreasing the body temperature slows down the rate of biochemical reactions. In their fascinating paper to the New Zealand Journal of Zoology in 1998, Peter Webb and Jodelle Ellison at the University of Otago demonstrated that compared to its ‘awake’ state, a hedgehog’s average daily energy expenditure drops by about 216-times while in hibernation. What this means in practice is that an active hedgehog would burn through its pre-hibernation fat reserves in about 16 hours without additional food, but in hibernation the same fat reserves could sustain the hedgehog for about 120 days, about 170-times longer. In his New Hedgehog Book, Pat Morris notes that hibernation occurs in response to any dramatic and prolonged food shortage, not necessarily only during the winter although this is most common. In a 1995 opinion paper to Physiological Zoology, Fritz Geiser and Thomas Ruff classified torpor (a temporary period of greatly reduced activity) into two types. Daily torpor (sleep) is short periods, less than 22 hours in duration, during which an animal’s metabolic rate falls by about 60%, but its body temperature remains above 17C (63F); this can happen at any time of year. Hibernal torpor (hibernation), by contrast, occurs primarily during the winter for periods exceeding 22 hours and sees metabolic rate drop by about 95% of the active level and body temperature fall to within a few degrees of ambient. Following the breeding season, hedgehogs spend the bulk of their time feeding voraciously, laying down the fat reserves that will sustain them during hibernation. In a single evening, a hog may consume 20% of its body weight and drink more than 300 mL in a single sitting. The result is that immediately prior to entering hibernation, a hedgehog is likely to weigh at least 600 grams (1 lb 5 oz.) and 30% of the hog’s bodyweight may be fat. The fatty tissue observed in hedgehogs at this time of year is of two distinct types: Brown Adipose Tissue (BAT or brown fat, which despite its name is actually more orange in colour owing to a mixture of different cytochromes) and White Adipose Tissue (WAT or white fat). These tissues differ both in their biochemistry and structure as well as in their location in the body. BAT is stored around the shoulders, chest, neck and under the front legs; it may represent 3% of the hedgehog’s bodyweight immediately prior to hibernation. WAT is found subcutaneously (under the skin), along the gastrointestinal tract, and around the stomach and intestines. Despite numerous studies on hibernation in hedgehogs, a specific trigger (or triggers) has yet to be identified. There are several theories, but none fit all examples. Overall, hibernation is probably triggered by a combination of cold ambient temperatures, a change in daylength and a lack of food but, as we shall see, it is a complicated relationship. Data from studies on captive animals suggest that hibernation is predominantly governed by persistent cold temperatures and Herter Konrad found that his captive hogs entered hibernation when the ambient temperature was between 15C and 17C (59 to 63F). While tracking hedgehogs in Ireland, Any Haigh observed that all her subjects were inactive when the temperature dropped to -2C (28F) at the end of October and some of the lighter animals only reappeared when temperatures rose above about 4C (39F). Similarly, in The Hedgehog, Pat Morris states that hedgehogs must be kept at between 15C and 20C (59 – 68F) in order to remain active. A study published in 1964, however, reported that hogs from Finland tolerated lower pre-hibernation temperatures than Konrad’s German subjects. Similarly, at the end of November 2016 hedgehogs were still appearing on our trailcam here in Southampton when night-time temperatures were hovering around 5C (41F) and, around the same time, one reader in Crewe told me he had them active in his garden when the temperature was -2C (28F). During their studies of hedgehogs in eastern Finland, Anni Rautio and her colleagues observed that males often left hibernation when there was still snow on the ground and the air temperature was below freezing. We know that cold weather greatly reduces invertebrate activity and, therefore, it may be a lack of food as much as it being cold that triggers hibernation. Indeed, a study of hedgehogs on New Zealand's South Island by Webb and Ellison at Otago University found that hogs went into torpor when food was restricted for 48 hours. Food availability cannot be the whole picture, though, as most captive hedgehogs will hibernate even when provided with food ad libitum. It is interesting, however, that males enter hibernation earlier than females. We think this is because males, who aren’t expending energy raising hoglets, can spend more time feeding and therefore reach a suitable weight earlier. Haigh’s observation that males and females were of similar body weight when they entered hibernation and that it was the lightweight hogs that emerged from torpor as temperatures rose also lends support to the idea that weight is important. It may be that food and/or temperature indirectly regulate when a hedgehog is able to enter hibernation. The observation that many underweight animals perish during hibernation suggests, however, that weight is also not a universal mechanism. In a paper to the Journal of Reproduction and Fertility in 1988, Paul Fowler presented the results of his plasma hormone analysis of hedgehogs caught in Aberdeen and overwintered in an outside enclosure fitted with nest boxes. Fowler found that photoperiod (i.e. the number of light and dark hours over a 24 hour period) was the main factor controlling seasonality in this species, with melatonin, B-endorphin and prolactin at their lowest at 10L:14D (i.e. 10 hours of light followed by 14 hours of darkness); the photoperiod corresponding to November to February, when the hedgehogs were in their deepest hibernation. From this and other studies, many by Michel Saboureau at the Centre d'Etudes Biologiques des Animaux Sauvages in France, we know that certain hormones, particularly testosterone, rise and fall in sync with photoperiod and may thus play a role in regulating the start and end of hibernation. Indeed, Saboureau and his colleagues observed that administration of testosterone during the autumn prevented the onset of hibernation and, in a separate study, Fowler noted that the only female in his sample that failed to go into hibernation gave birth to five hoglets about a week later, suggesting pregnant females can’t enter hibernation. Fowler’s work on hedgehog thermoregulation suggested a combination of cooling temperatures, restricted food and shortening photoperiod, in that order of importance, were necessary to induce hibernation in his subjects. The fact that hibernal torpor seems to be a complex process triggered by a combination of factors explains why, contrary to popular misconception, there are no fixed dates for entering or emerging from hibernation. At the northern extent to their range, where winters are harshest, hogs may hibernate for more than 200 days, while in warmer climates (parts of New Zealand, for example) they may forego hibernation altogether. Hibernation is a dangerous enterprise and there is no reason a hedgehog should undertake it if it doesn’t have to. Hedgehog carer Linda Fuller told me, for example, that, during the winter of 2006/2007, at least one of her resident hogs, “DJ”, didn’t appear to hibernate at all; opting instead to eat her way through a whole can of dog food each night. Similarly, in a paper to the International Zoo Yearbook in 1966, B. Morris noted that captive animals kept in a warm animal house over winter did not hibernate. Hedgehog rehabber Natasha Harper told me that some of her hogs would be active in their pens in her shed well into January, although all would eventually hibernate, even with food and water supplied ad libitum. In his 1984 An Irish Beast Book, James Fairley recounted the case of a hedgehog nursed back to health after being hit by a car in County Tipperary in Ireland in 1979 and subsequently adopted as a ‘family pet’. The owner recorded dates of entry to and exit from hibernation over four years; the hog entered hibernation on varying dates between 29th September to 18th October, reactivating between 14th February and 4th March. In a paper to Acta Theriologica in 2012, Amy Haigh and colleagues reported that their subjects, tracked near Cork in southwest Ireland, hibernated for between 130 and 174 days (18.5 – 25 weeks), entering between 15th October and 17th November and emerging between 18th March and 12th May; four individuals (three males, one female) emerged within a day of each other at the end of March. Regardless of its cause, hibernation itself is typified by several physiological changes: a decrease in heart rate; lowering of peripheral body temperature; reduced breathing rate punctuated by apnoea (brief cessation in breathing); reduced metabolism sustained by fat reserves; and changes to the normal rate of function in key homeostatic organs. An active European hedgehog will have a body temperature between 33C and 37C (91 – 99F), averaging 35C (95F), and this falls to around 7 – 10C (45-50F) during hibernation. In a paper to the Journal of Comparative Physiology during 1990, Paul Fowler and Paul Racey at Aberdeen University provide a fascinating insight into the changes of hedgehog body temperature over a daily and seasonal timescale. The zoologists inserted temperature-sensitive radio transmitters into the abdomen of their subjects and found that changes in body temperature (Tb) over a circadian (24 hour) timescale were closely tied with the photoperiod; maximum Tb occurred two hours after midnight. Also, Tb was closely matched with the ambient temperature during hibernation, but Tb showed a marked increase when the surrounding air temperature fell below -5C (23F), although arousal did not always follow (see below). The data show that the ‘average hedgehog’ entered hibernation just before 2am and came out of hibernation at just before midnight. More interestingly, the results of these experiments showed that the hedgehogs underwent spontaneous bouts of what the authors term “transient shallow torpor” (or TST). TST events were recorded throughout the year, but the bulk (80%) were in August, suggesting they may serve as some kind of physiological preparation for the main event, although TST bouts immediately preceded hibernation in only 20% of cases. Electrocardiographic studies have demonstrated that most hedgehogs have a heart rate of between 190 and 280 bpm (beats per minute) when active, dropping to around 147 bpm while sleeping and averaging just under 14 bpm during hibernation. In conjunction with changes to the heart rate, hedgehogs entering hibernation seem to exhibit hypovolaemia, a decrease in blood volume. In his 1961 paper to Nature, Einar Eliassen quotes a reduction in blood volume of 8% body weight and 2% to 3% bodyweight for active animals during summer and “sleeping” animals in winter, respectively. Eliassen notes, however, that these figures may not be entirely accurate and he may actually have witnessed “pronounced differences in blood-flow in different vascular areas”. Nonetheless, there does seem to be a decrease in the animal’s blood volume and it appears to be linked with haemolysis (destruction of blood cells) and plasma excretion. Foraging hedgehogs breathe at about 50 brpm (breaths per minute); this rate halves when resting and averages 13 or less during hibernation (at 4C / 32F). Hibernation is also punctuated by periods when breathing ceases completely that are followed by periods of rapid ventilation, lasting between three and 30 minutes. Apnoeic events are typically brief, lasting only a few minutes, although one study, published in 1964, reported apnoeic events lasting two-and-a-half hours! Apnoea helps reduce water loss (evaporation across the lungs) and conserve energy, but also leads to a progressive acidification of the blood as carbon dioxide builds up; this can inhibit metabolic processes such as glycolysis, the breakdown of glucose. During hibernation, the hedgehog is sustained by the very slow metabolism of its WAT fat reserves through a process called lipolysis. Torpid individuals may exhibit a metabolism only one or two percent of their active state and the virtual cessation of carbohydrate metabolism means that there are very low levels of blood insulin and glucagons (pancreatic hormones that control glucose metabolism), which manage the metabolism of glycogen. Indeed, carbohydrate metabolism begins shutting down before hibernation is fully underway; in his book Hedgehogs, Nigel Reeve notes that a hedgehog at the onset of hibernation may have undergone a 43% reduction in blood sugar level compared to that of its active state. In The Complete Hedgehog, Les Stocker notes that hedgehogs also exhibit a doubling of blood magnesium content and a decrease in body tissue oxygen demand of some 98%, from 550 mL per kilogram per hour to only 10 mL. The reason for these changes remains unclear, but other species have demonstrated similar increases in magnesium during torpor (Marvin Riedesel and Edgar Folk reported a 50% increase in blood magnesium from two hibernating bat species in a 1956 paper to Nature) and this element has recently been shown to help prevent hypertension (high blood pressure) and arrhythmia (irregular heart rate). Increased magnesium may, therefore, offer an additional “cardioprotective” influence (see below). Hedgehogs have evolved several physiological strategies that help them cope with the pressures of hibernation. There is a migration of 90% of the white corpuscles to the gastrointestinal tract (i.e. they leave the main bloodstream and move within the wall of the stomach and intestine), presumably to fight any bacterial infections that may arise as food decomposes in the gut, and a significant reduction in the activity of the kidneys and brain, specifically the cerebellum and cerebral cortex. Perhaps the most fascinating adaptation can be seen in the heart. Ordinarily, cold blood returning to the mammalian heart leads to an uncoordinated (often frenzied) contraction of the ventricles, a condition referred to as ventricular fibrillation; this random twitching of the cardiac muscle means that blood isn’t pumped into the systemic circulation and if the arrhythmia continues for more than a few seconds the circulation may collapse. The hedgehog heart has some specialised adaptations that help prevent ventricular fibrillation, including reduced adrenergic innervation (fewer nerves that respond to adrenaline), low noradrenaline content (like adrenaline, noradrenaline is involved in fight-or-flight response and triggers release of glucose from storage), glycogen stores (act as fuel stores) and high alpha-GPDH activity (enzyme pathway that converts fat to energy) – see Nigel Reeve’s Hedgehogs for more details. Despite these protective measures, it is only the peripheral circulation that exhibits a decrease in temperature; the feet, ears and skin are cold to the touch, but the core temperature (e.g. around the heart) is close to normal. As early as 1925, studies have demonstrated the phenomenon of so-called ‘insulin hibernation’ in several species, including dogs, cats and marmots. Torpor can be induced by administration of insulin following a cold bath to lower body temperature; blood sugar levels are reduced to a convulsive level. While one could argue the semantics of the term “insulin hibernation” (it’s actually insulin shock, rather than true hibernation), it demonstrates the potential for insulin to be involved in hibernation. Indeed, in a 1939 paper to the journal Annales Academiæ Scientiarum Fennicæ, Paavo Suomalainen of Helsinki University demonstrated that injecting hedgehogs with insulin can induce or maintain hibernation. Several studies have, however, presented evidence that the hibernative state is maintained by the ratio of serotonin and noradrenaline. It appears that when serotonin levels are high, noradrenaline is low and body temperature is decreased causing continuation of hibernation. Conversely, when serotonin levels are low and noradrenaline levels are high, body temperature increases and arousal occurs. It should be mentioned that hibernating hedgehogs aren’t ‘dead to the world’; nor is hibernation a static state. Hibernating hedgehogs will bristle (i.e. erect their spines) when touched or exposed to noise, tucking themselves into a tighter ball. Moreover, hibernation fluctuates in accordance with changing environmental conditions and is punctuated by frequent bouts of arousal; undisturbed individuals tend to ‘wake up’ on average every seven to 11 days, although some may not do so for several months. A study by Hendrik Hoeck in southern Germany during the mid-1980s recorded the longest un-broken period of hibernation in his population in a young male who was torpid for 12 days in January 1986. Similarly, work on hibernating hedgehogs kept in a temperature-controlled room at the University of Helsinki in Finland by Rolf Kristoffersson and Antti Soivio reported that the longest un-broken period of hibernation was 13 days and that such periods correlated with ambient temperature. Writing in the journal Annales Zoologici Fennici in 1964, Kristoffersson and Soivio described how their subjects spent only 31% of their time in ‘deep hibernation’ at an ambient temperature of 10C (50F), compared with 81% kept at 4.5C (40F). In his New Hedgehog Book, Pat Morris states that it takes three or four hours and a lot of energy to raise their body temperature by 25C (45F). During these brief (two or three day) intermissions from hibernation the hog may remain in the nest or venture outside. The reasons for these brief periods of activity haven’t been conclusively demonstrated, although suggestions include searching for food to top up fat reserves and removal of metabolic by-products that can only be neutralised in a normothermic state. In extremely cold weather, however, food is likely to be scarce (hence the need for hibernation in the first place) and there are no data to suggest that waste products such as urea or lactate accumulate during hibernation. Indeed, in an article to New Scientist in January 1995, Morris noted that from a sample of 167 nests over six successive winters, only two were occupied continuously through an entire winter. 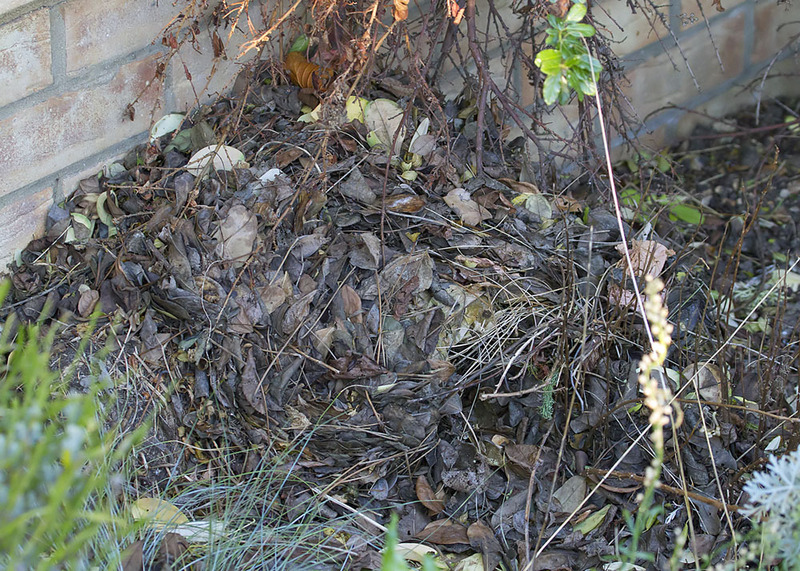 Moving nests may be necessary if the temperature falls too low as hedgehogs are vulnerable to frostbite, even freezing, if their body temperature drops below 4C (32F); this is a significant danger if the temperature inside the hibernaculum falls below 1C (34F). Consequently, brief periods of arousal during exceptionally cold spells may prevent the hedgehog from freezing to death. Whatever the reason for these periods of winter activity, the observations of Kristoffersson and Soivio, Fowler and Racey and others that, even when kept under constant conditions in a laboratory, hedgehogs arouse periodically, and that some may do so 20 times during the winter, suggests that periodic arousals are a necessary part of hibernation. It also appears that there is a ‘Goldilocks Criteria’ for hedgehog hibernation: too cold (i.e. sub-zero) and hedgehogs risk freezing to death; but too mild (about 8C / 46F or warmer) and they arouse too frequently and risk burning up their fat reserves prematurely. Indeed, Kristoffersson and Soivio observed that the more frequent the arousal, the greater the weight loss by the end of winter. It appears that hedgehogs need prolonged cold (4-6C / 40-43F), but not freezing, temperatures to hibernate successfully, suggesting the milder, more unpredictable winters we’re seeing in response to climate change may pose problems for them. Many studies have observed males emerging before females. During his studies on hogs in London, Nigel Reeve found that males were caught during March, while females were rarely caught before May. Reeve proposed two theories for this difference in arousal time. Early litters stand a better chance of survival than late ones, so males may arouse earlier in order to gain access to females as soon as they become active. Alternatively, arousing early allows them to feed with reduced (female) competition, allowing them to put on weight in preparation for the breeding season when they devote so much time to seeking out females that they lose a significant amount of weight. Off-hand, both seem entirely plausible, especially given that Reeve’s tracking studies have also demonstrated that males range less in these post-arousal weeks than during the rest of the year, especially during the rut, which may help offset the energy costs associated with early arousal. The arousal mechanism appears different in males and females. In his contribution to the 1986 compendium Living in the Cold: Physiological and Biochemical Adaptations, Michel Saboureau demonstrated that a decrease in testosterone caused males to enter hibernation, while the hormone’s absence extended torpor. In January, as photoperiod begins to increase, males experience a decrease in levels of a chemical called 5-methoxy-N-acetyltryptamine, commonly known as melatonin. Melatonin has numerous effects on the body, but in male hedgehogs its decline leads to a rise in testosterone levels, which causes a progressive reactivation of the testes. In his book Hedgehogs, by contrast, Nigel Reeve points to female arousal being more closely associated with ambient temperature and food availability than changes in reproductive hormones. Despite the various suggestions, there is currently no single theory proven to explain the arousal from hibernation, probably because more than one mechanism is involved. If changing photoperiod has a significant role to play, it remains unclear how it affects hedgehogs deep within their hibernaculums. It has been suggested that they may ‘sample’ the photoperiod during their periodic arousals – presumably females also assess the food availability and ambient temperature during their intermissions. Data from studies by Saboureau, Racey and Fowler show that administration of melatonin in September leads to the onset of testicular reactivation during the spring, suggesting that it may act as some form of internal ‘timer’ that influences the spring arousal of males. Thus, an internal timer, food availability and changes in ambient temperature may combine to stimulate the arousal of hedgehogs from hibernation. During hibernation, it is the WAT that fuels the hedgehog’s metabolism. The BAT is activated upon arousal; this is possible because BAT produces a considerable amount of energy as a by-product of its respiration (as much as 400 watts per kilogram of tissue). All biological tissues produce heat as a by-product of respiration, but this is typically negligible. In WAT, the final step of cellular respiration that the fatty acids go through is a biochemical process known as oxidative phosphorylation; in this process, adenosine triphosphate (ATP, the energy source for virtually all cellular functions) is created. In the case of BAT, this last step is prevented by a mitochondrial uncoupling protein (UCP) that effectively ‘short circuits’ the oxidative phosphorylation process, allowing the oxidation of fatty acids to produce heat instead of ATP. This process enables a substantial amount of heat to be generated (about twenty-times that of WAT), without the reliance on spasmodic reflex muscle contraction (i.e. shivering); hence this process is often referred to as “non-shivering thermogenesis”. According to Reeve, the thermostatic control of BAT is achieved by sensors in the hypothalamus, skin and along the spinal cord, while its metabolism is controlled by the sympathetic nerve endings that penetrate the tissue and by circulating adrenal hormones. In a laboratory setting, arousal can take as little as two hours. Under more natural conditions, Paul Racey and Paul Fowler found that it took 12 hours for their subjects to become fully active – BAT can warm the body at between 6C (11F) and 21C (38F) per hour depending on the individual and ambient conditions. In Hedgehogs, Nigel Reeve described the arousal process in detail. Upon arousal, BAT is metabolised and the heart beats vigorously, increasing from 10 to 300 bpm, circulating the heat throughout the hedgehog’s body. (BAT is infiltrated by a rich network of capillaries which supply it with oxygen to fuel respiration and help distribute the heat.) As the body temperature rises past 15C (59F), carbohydrate metabolism resumes and at 20C (68F) glucagon secretion rises, stimulating the release of glucose into the bloodstream. The eyes remain closed below approximately 20C; above this temperature the eyes open and the hedgehog may prop itself up on its front legs and shiver. When the body temperature has increased to between 28C and 30C (82 – 84F) the hog begins to move around and when normal body temperature (35C / 95F) is reached, the hedgehog is fully active. The arousal process is very energetically-expensive. In their paper to the journal Annales Zoologici Fennici in 1977, Hanna Tähti and Antti Soivio calculated that one arousal lasting only three or four hours burnt the same amount of energy and several days in hibernation. Studies on captive individuals suggest that hedgehogs lose one or two grams of body weight (0.2 to 0.3%) per day while in hibernation and thus, by the time the hedgehog is fully aroused, it needs to eat and drink as a matter of priority. Weight loss during hibernation varies geographically and generally with the ‘harshness’ of the winter; a hog may lose anywhere from 25% (in the UK) to 40% (in very cold Finland winters) of its pre-hibernation body weight. In some cases, this has been lower and Amy Haigh and her colleagues observed weight loss as low as 15% in Ireland, probably a reflection of the mild winters during the study. Interestingly, Haigh’s study also recorded significantly greater (up to three-times greater) weight loss in females than males, despite no significant difference in the length of hibernation; females lost 15-38% of their pre-hibernation body weight while, bar one juvenile individual that lost 29% of its pre-hibernation weight, males lost only 3-6%. In Finland, by contrast, Anni Rautio and colleagues observed an average hibernation weight loss of 28% in both sexes. Overall, the potentially substantial loss of weight during hibernation prompted the British Hedgehog Preservation Society to recommend a pre-hibernation weight of about 700 grams (1.5 lbs.) to its member carers. For an authoritative and comprehensive treatment of hedgehog hibernation and energetics, I highly recommend Chapter 6 of Nigel Reeve’s book, Hedgehogs. Those wishing to read more about hibernation in general are directed to Hibernation (Greenwood Guides to the Animal World) by Clive Roots (Greenwood Press; ISBN: 0-313335-44-3), while children are recommended John Crossingham and Bobbie Kalman’s book What Is Hibernation? (Crabtree Publishing Co.; ISBN: 0-865059-64-0). The more advanced reader might find Barbara Cannon and Jan Nedergaard’s review of the function and significance of BAT (Physiological Review, 2004, 81: 277–359) of interest.